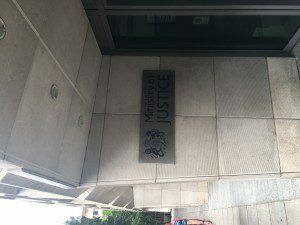 Ministry of Justice refused to mediate! In another example of a party refusing to mediate and being penalised for doing so, this time it was the Ministry of Justice who refused! A claimant who had succeeded in his personal injury claim against the Ministry of Justice was awarded his costs of the trial. Part of the costs were awarded on the indemnity basis and additional awards under CPR r.36.17 were made where the claimant had done better than a Part 36 offer by a significant amount and the Ministry of Justice had refused to engage in mediation. This case follows a long line of cases where the Courts have penalised parties who refuse to mediate, but where this case stands out is that the MOJ were involved and it was a personal injury claim. The lesson to be taken from this is mediate or face the consequences! The court was required to determine the costs consequences following the claimant prison officer’s successful personal injury claim against the defendant Ministry of Justice. The claim had concerned psychiatric injury suffered by the claimant as a result of breaches of contract and duty of care by the defendant which, having suspended him in order to investigate allegations of sexual misconduct (later found to be unproved) had failed to conduct its investigation property. The claimant’s letter of claim was sent in March 2012. The defendant did not respond. Between 2013 and 2014 there were a number of directions hearings. In 2014, the claimant made a Part 36 offer of £223,500 which was not taken up. The claimant offered mediation, but the defendant said that mediation was not open at that stage. In June 2016, the court ordered that the parties attempt to settle by alternative dispute resolution (ADR). In October 2016, the claimant made a Part 36 offer of £180,000, and invited the defendant to engage in mediation. The defendant did not engage in ADR or reply to the Part 36 offer. An expensive exercise of disclosure took place, concerning police documents that had originally belonged to the defendant. However, there had been no need for an application to retrieve them; the defendant should simply have just asked the police to return them. The disclosure exercise had a very profound effect on the length of the trial. The claimant was awarded judgment in the sum of £286,000, but failed on an application to strike out the defence as an abuse of process. The issues were whether: the claimant was entitled to the costs of the action in full; costs should be on the indemnity basis; any further awards should be made under CPR r.36.17; payment on account of costs should be ordered. HELD: General observations- It was well known that personal injury claims by an employee against an employer were often amenable to ADR. An independent person could look at the case dispassionately. The instant case was one where ADR, and in particular mediation, was appropriate. The defendant maintained that the litigation was out of the ordinary as it was a public body at the centre of a police investigation in a prison, at a time when inquiries of abuse against public institutions had lead to widespread public concern. However, the court failed to see how that was relevant in a personal injury case brought by an employee. The greater public context, if it existed, did not mean that the defendant was exempt from court orders. If a defendant did not want to engage in mediation for public policy reasons it had to be prepared to take the costs consequences. The claimant’s costs- The usual rule was that costs followed the event. The defendant had asked for a 30% reduction as the claimant had not succeeded in establishing a number of allegations. However, the defendant had failed on most of its case. The court should step back and look at the case as a whole. On any fair reading of the judgment, the claimant had succeeded and was awarded the whole of the costs of the trial. However, the defendant should have its costs of successfully defending the abuse of process application. Part 36 and the indemnity basis- A claimant was entitled to further costs under r.36.17 where judgment against a defendant was at least as advantageous to the claimant as the proposals contained in the claimant’s Part 36 offer. With regard to the 2014 Part 36 offer, the defendant maintained that, but for a change in the discount rate, the claimant would not have exceeded the judgment at trial. In Novus Aviation Ltd v Alubaf Arab International Bank BSC(c)  EWHC 1937 (Comm), the judge concluded that it was unjust for the consequences of r.36.16 to follow where the reason the offer had been exceeded was because of a dramatic fall in sterling after the EU referendum, Novus Aviation applied. In the instant case, had the proceedings reached trial earlier than March 2017, the judgment would have been less than the amount of the Part 36 offer due to the change in the discount rate. Although it was known that the Lord Chancellor had been reviewing the discount rate since 2012, it was not just for the Part 36 costs consequences to follow the 2014 offer. However, the 2016 offer had been a genuine offer to settle. There was no injustice if the costs consequences ofr.36.17(4) were applied. The claimant had done better than the second offer by a significant amount. The defendant was to pay the claimant additional interest on the sum awarded, from 8 November 2016, at 8.5%. An additional award of 10% of the judgment was made. The defendant was to pay the claimant’s costs subject to detailed assessment on the standard basis up to July 2016 and thereafter on the indemnity basis. Payment on account of costs- It was unlikely that the claimant’s ultimate costs would be less than £900,000. A reasonable proportion of that was £600,000. The defendant should pay the claimant £600,000 on account of costs by 28 August 2017.